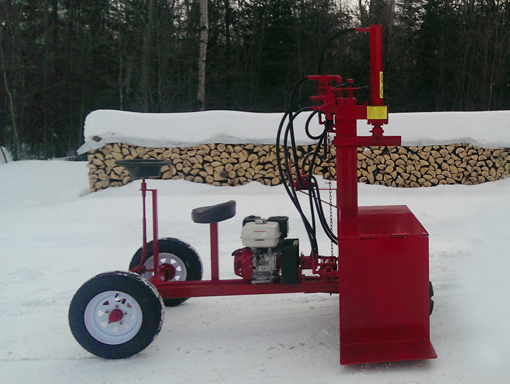 The Buggy Splitter is the “little rascal” of the line-up with its large work table, self propelled and pedal activated splitting rams. Basically it’s a Single Vertical with conveyor without the conveyor. All splitting cycle times are identical on all machines (5 seconds ). This unit is tailored to the professional landscaper, tree services etc. that offers firewood sales on the side. The Buggy Splitter is very convenient to transport and offers the same reliability as our larger splitters in a smaller, self-propelled package.